Poor Curly the pig is always getting lost! Poppy and Sam search all over Apple Tree Farm looking for clues to find him. But where on earth can Curly be? 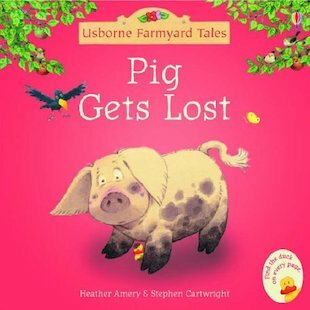 This comical story from the popular Farmyard Tales series is full of merry hide-and-seek fun to enjoy together.